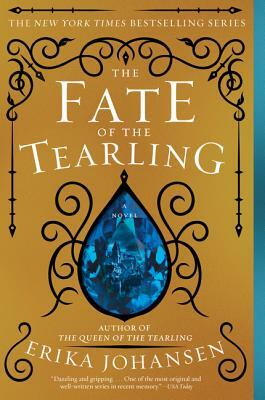 Erika Johansen has created an incredibly intense, intriguing and completely captivating conclusion for her Tearling trilogy, sure to please all awaiting Queen Kelsea's fate. Rash, reckless and filled with rage, Kelsea has surrendered to the Red Queen while unwittingly unleashing "the Orphan," a threat so evil, both soon find themselves fighting together for their own survival. Will Kelsea unravel the mystery of her magical sapphires and save the Tear kingdom from ultimate destruction? Or, is she destined for an early demise thereby sealing The Fate of the Tearling? So worth the wait! Erika Johansen has created an incredibly intense, intriguing and completely captivating conclusion for her Tearling trilogy, sure to please all awaiting Queen Kelsea’s fate. Rash, reckless and filled with rage, Kelsea has surrendered to the Red Queen while unwittingly unleashing the Orphan, a threat so evil, both soon find themselves fighting together for their own survival. Will Kelsea unravel the mystery of her magical sapphires and save the Tear kingdom from ultimate destruction? Or, is she destined for an early demise thereby sealing The Fate of the Tearling? So worth the wait!